WASHINGTON -- US Special Representative for Afghanistan Reconciliation Zalmay Khalilzad is leading a US delegation on a six-nation tour, including Afghanistan, to boost that country's peace process, the State Department said Sunday (February 10). Khalilzad will head the inter-agency delegation from February 10-28 with the goal of bringing "all Afghan parties together in an intra-Afghan dialogue". The itinerary will take the delegation to Belgium, Germany, Turkey, Qatar, Afghanistan and Pakistan, the statement said, adding that Khalilzad will "consult with the Afghan government throughout the trip". Khalilzad Friday (February 8) said that he hoped to see a peace deal in place before Afghanistan's July 20 presidential elections. Any US troop withdrawal will depend on conditions on the ground, not on any particular timetable, he stressed. "The timing of a peace settlement from our point of view is the sooner is better," Khalilzad told an audience at the US Institute of Peace in Washington. "There is an election, I know, that makes reaching a peace agreement particularly complicated," he said. "But it will be better for Afghanistan if we could get a peace agreement before the election." Khalilzad last week announced a "draft framework" for a peace deal, though he warned that major hurdles remain. Intra-Afghan negotiations are a "key objective" for the United States, Khalilzad said Friday, adding that the Taliban and the Afghan government "must sit across the table and come to an agreement". Additionally, the Taliban have promised not to shelter foreign extremists, but analysts say they cannot be trusted and even now are helping to hide such militants. Khalilzad repeatedly stressed the United States would not leave Afghanistan without enforcement mechanisms in place to ensure Afghanistan does not become a jihadist safe haven. "Our vision long term is for an Afghanistan that's entirely sovereign, independent," he said. "If they decide that they don't want to have foreign troops, we don't want to stay where we are not wanted -- provided that there is no threat to our national security from Afghanistan." "That is a red line," he said. 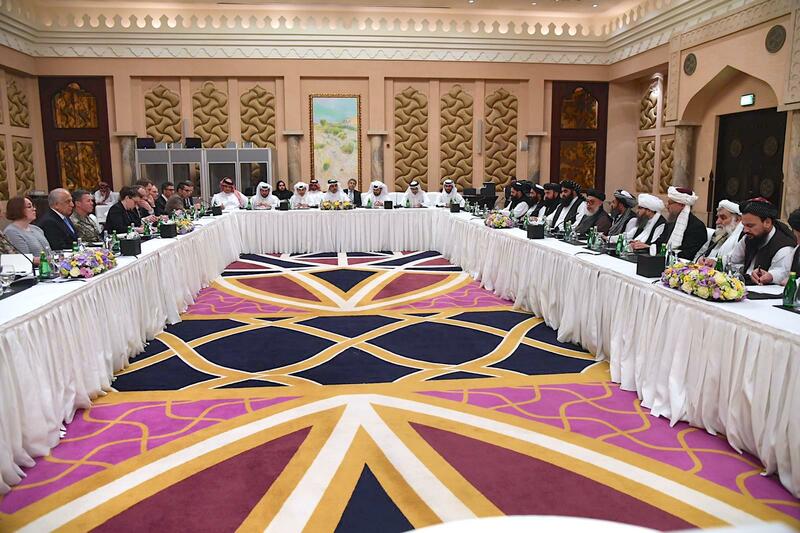 Khalilzad has in recent months met several times with Taliban officials in Qatar, where the group's leaders have an office in the capital, Doha. The Taliban told him they realise Afghanistan is different from when they were ousted in 2001 -- when the hard-line Islamists subjugated women, barred girls from school and wiped out any number of freedoms according to Khalilzad. "They understand that they cannot go back" to how things were, Khalilzad said. "We do not trust the words of any of the protagonists," he said, adding that press freedom and women's rights "must be respected". "Nothing is agreed to until everything has been agreed to," he said. 'Its clear all sides want to end the war,' said US Special Representative for Afghanistan Reconciliation Zalmay Khalilzad.